At the top, you see the header, which takes you to various other parts of the AssetLib - at the moment, it’s empty, as we are not logged in. While most other filter settings should be fairly self-explanatory, it’s worth going over what “support level” means in the Asset Library. Currently there are three support levels, and each asset can belong to only one. Now let’s take a look at what an asset’s page looks like and what it contains. 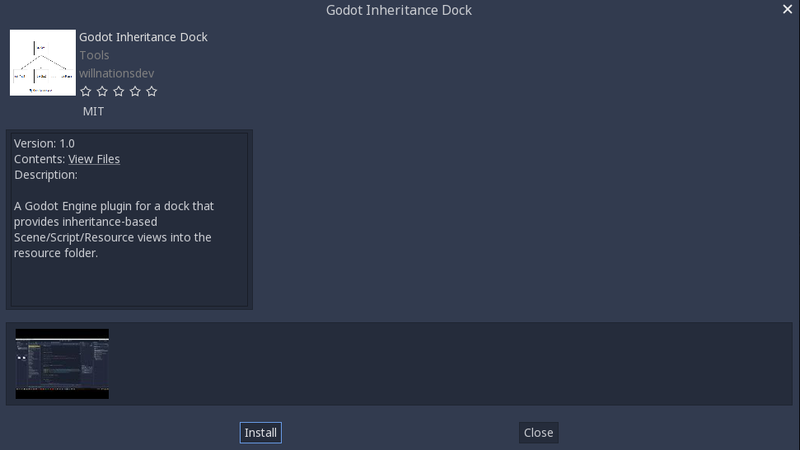 Asset’s category, Godot version, and support status. The date of the asset’s latest edit/update. 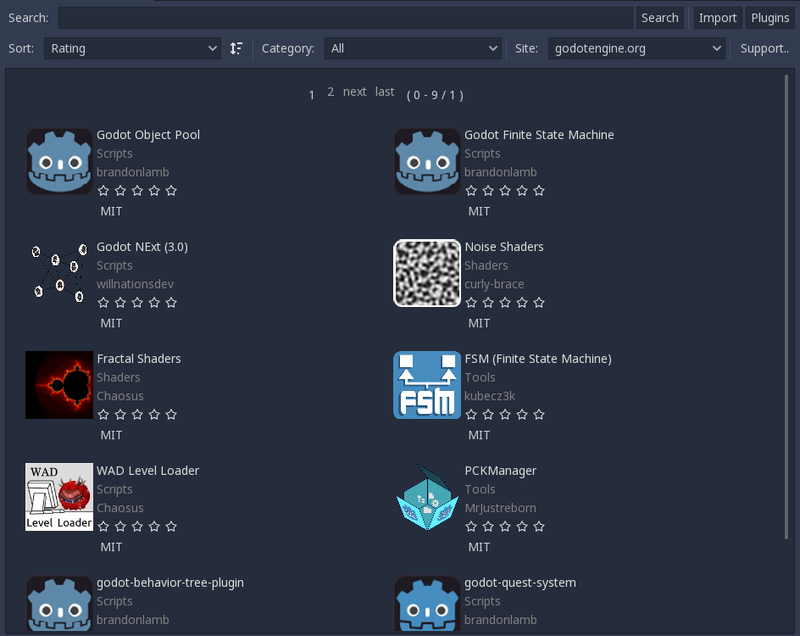 You can also access the AssetLib directly from Godot. 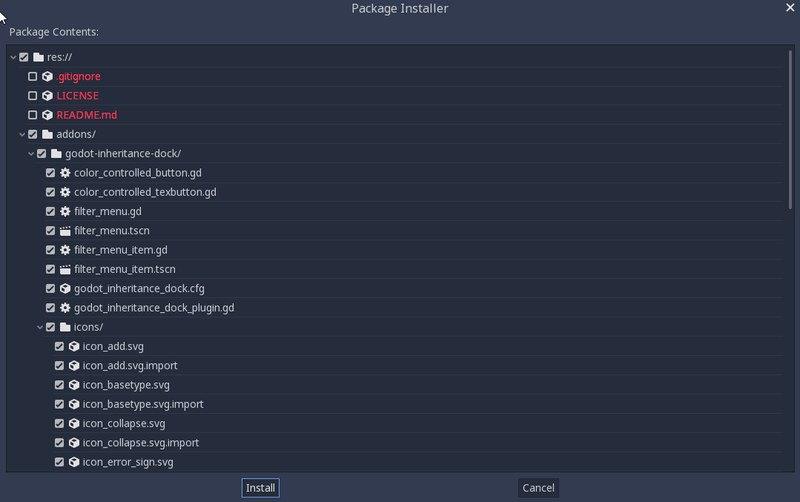 It is available from two places - in the Project Manager’s Templates tab, and inside of a project, from the workspaces list. 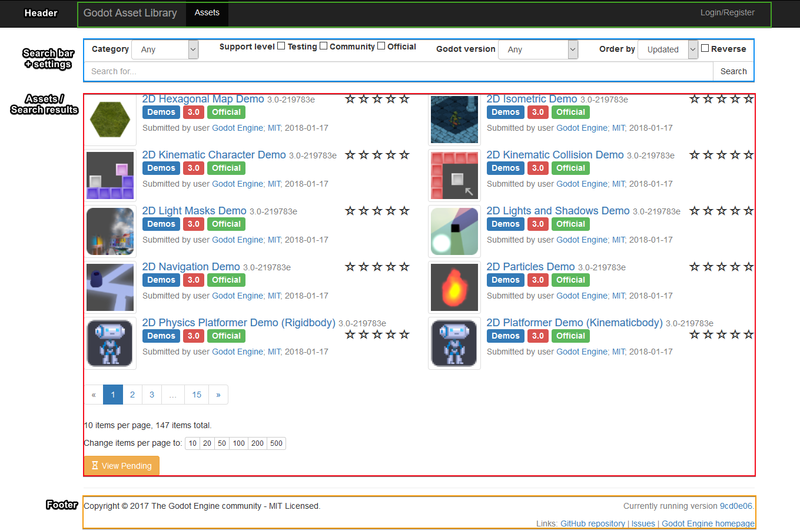 In the future, you will be able to choose a different AssetLib provider to fetch assets from (using the Site dropdown menu), however currently only the official Godot website version of the AssetLib is supported, as well as the version that may be running on your local machine’s web server (the localhost option).